... might be as easy as vegetable plants going to seed this year. Next year the volunteer vegetables are harvested from the back yard! If only vegetable gardening was this easy. ... and cared for by our gardener. 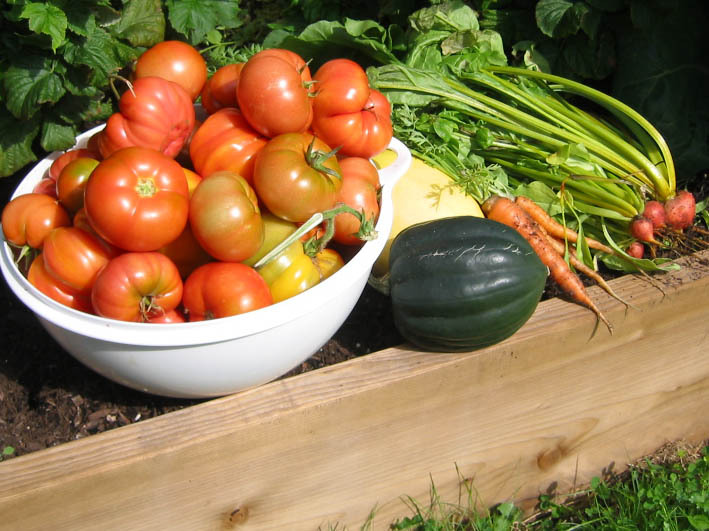 What time of year should a vegetable garden be started? so he can get on with the planting and growing in early spring. .... An available source of water for us vegetable plants to drink. ... How far does the cook has to walk to pull the carrots for dinner? Oh well, exercise is good ! 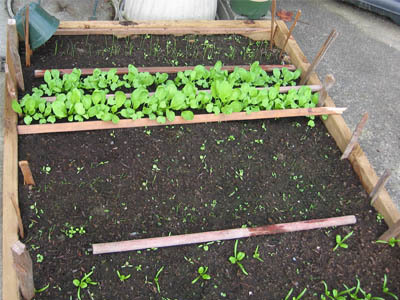 What growing method for the home vegetable garden plants ? 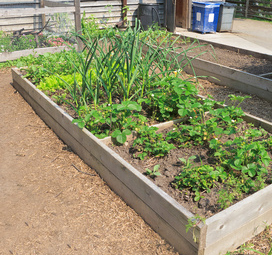 ... traditional home vegetable garden plot. 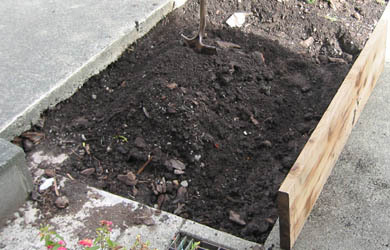 ... will our gardener try raised bed gardening ? ... Or maybe container vegetable gardening ? ... considering the available garden space. 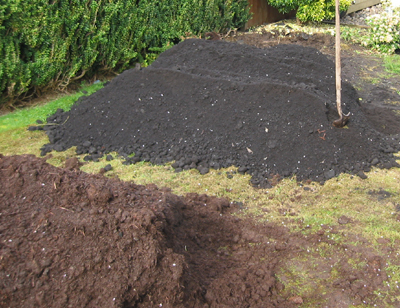 All methods require lots of organic garden compost ! 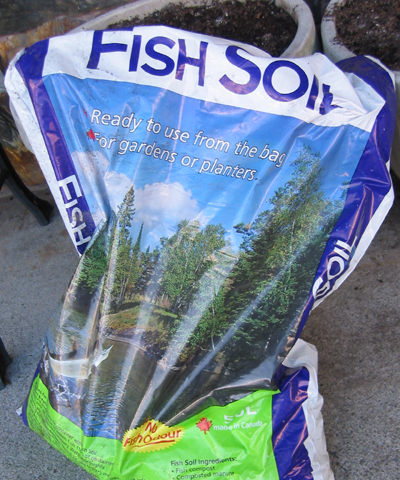 ... Why plant these or those Vegetable Garden Seeds? Our gardener plants the vegetables he likes to eat. Ouch!! His favorite is the Growing Potatoes ! We vegetables appreciate the big fanfare on our arrival at the dinner table. The gardener's wife knows some good vegetable recipies to comfort us. ... When to plant vegetables, us ? ... Spring gardening is usual. ... 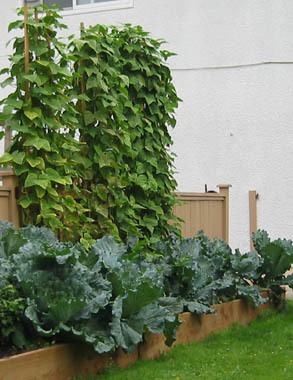 If fall vegetable gardening has been planned planting times will vary. ... The same goes for winter vegetable gardening. Brrrr ! 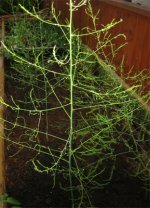 when developing a winter vegetable garden design. ... How to grow vegetables ? ... so we vegetable plants can eat ... grow ... and produce vegetables. In doubt about how to grow vegetables ? Read the back and front of the vegetable seed package. ... but we always see him reading the seed package ! Even then he has a problem with vegetable plant spacing. He plants us too close together! Sometimes he is a slow learner! Just starting a home vegetable garden ? Size ... It does matter ! Vegetables Gone Wild ... Not a pretty sight ! ... now and in future growing seasons. 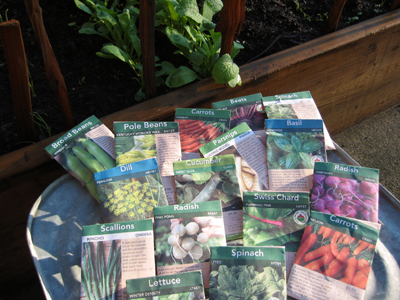 ... planning will include vegetable seed selection . including growing lettuce, carrots, radish, spinich, chard and beets. 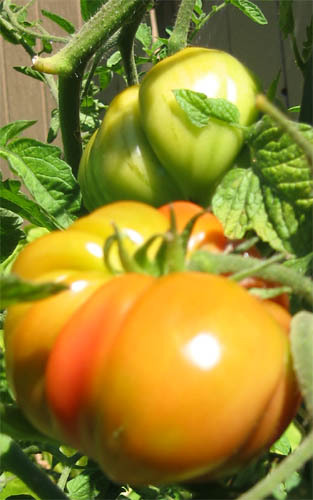 ... when growing tomatoes, peppers, cabbage, and eggplant. 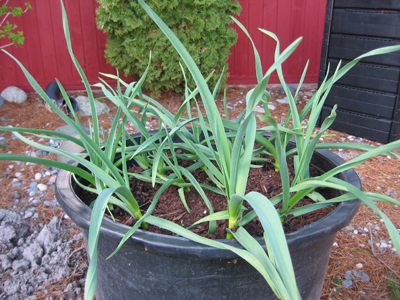 ... plant garlic in November for the largest garlic bulbs. Growing Vegetables is not rocket science. This is obvious, as our gardener is pretty good at growing vegetables. Back yard gardening success is developed through experience over time. 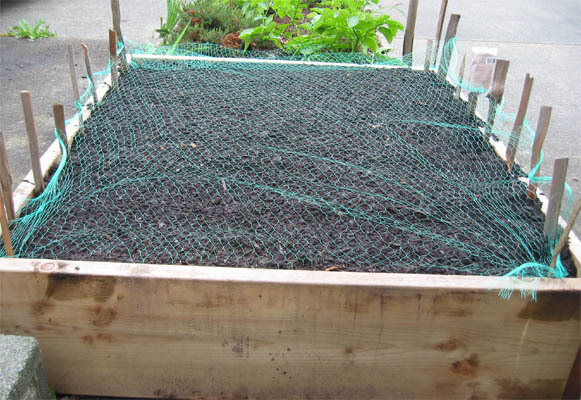 ... so adapt the space, the soil and the vegetable growing method. 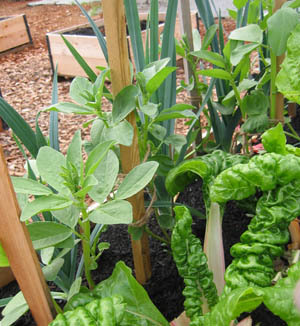 The best vegetable gardening tips will come from a veteran gardener. There will one in your neighborhood. Ask him for gardening advice, how best to grow vegetables in this locale? ... bigger, better and more of us. ... makes gardening vegetables interesting and fun. ... more intensive planting in the new raised garden beds. We vegetables will see what the future holds for us. Miss something? Return to top of Home Vegetable Garden page. Other articles about Getting Started that may be of interest.